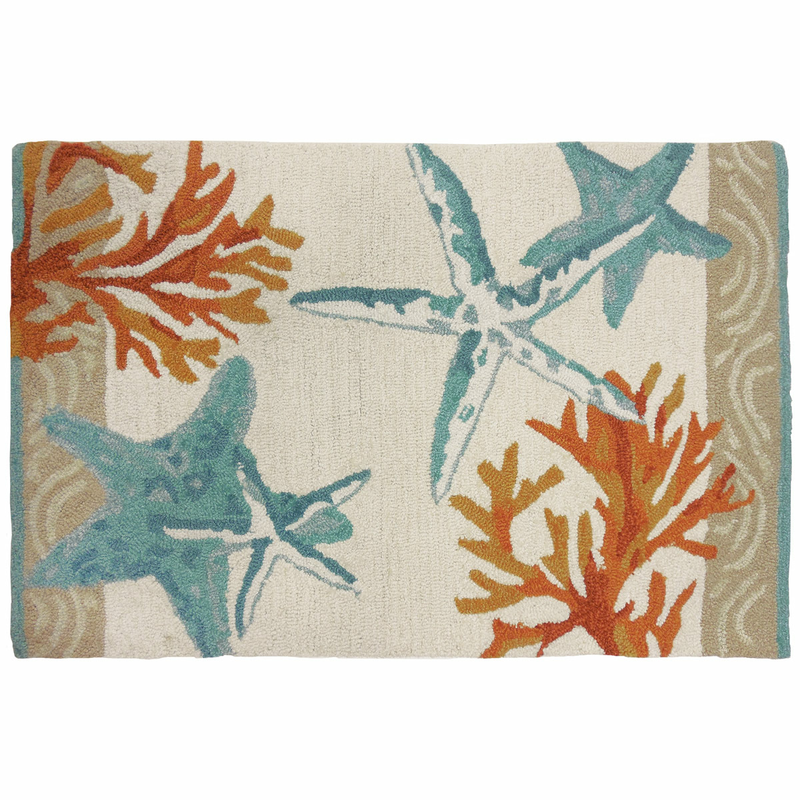 Showcase your beach style with the Coastal Reef Accent Rug, designed with delicate starfish and coral. Dry clean or hand wash with mild detergent, no bleach; dry flat and reshape as necessary. Do not iron.